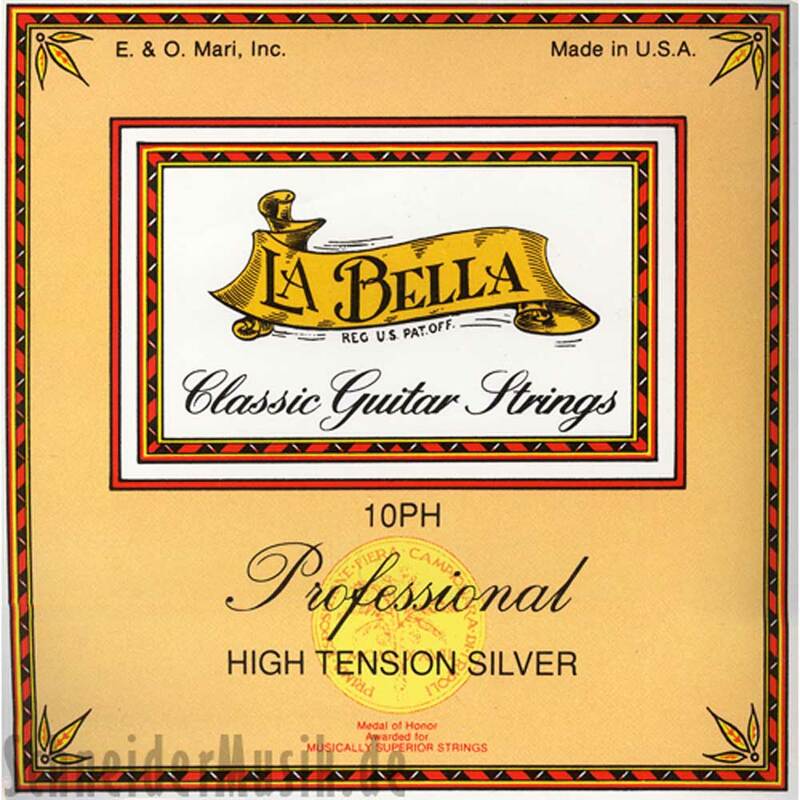 The10PHHigh Tension Silver set has clear high-density nylon trebles and silver-plated wound basses. Designed for the modern concert guitar with a long string scale (65.5 ? 66.4cm), these bass strings are wound with a new silver-plated alloy.